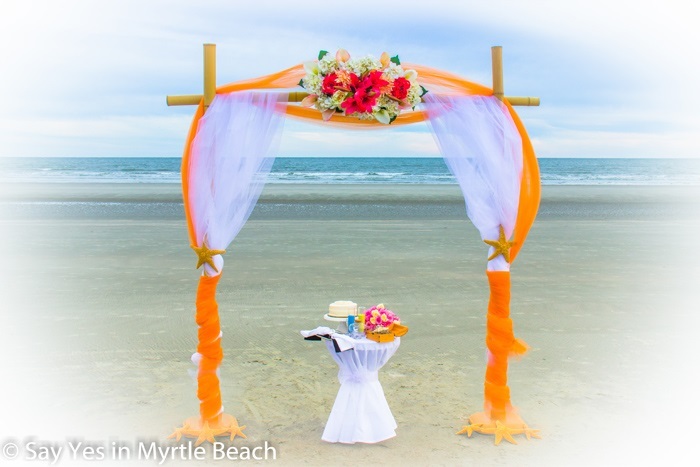 Filing of the Marriage License after the ceremony. 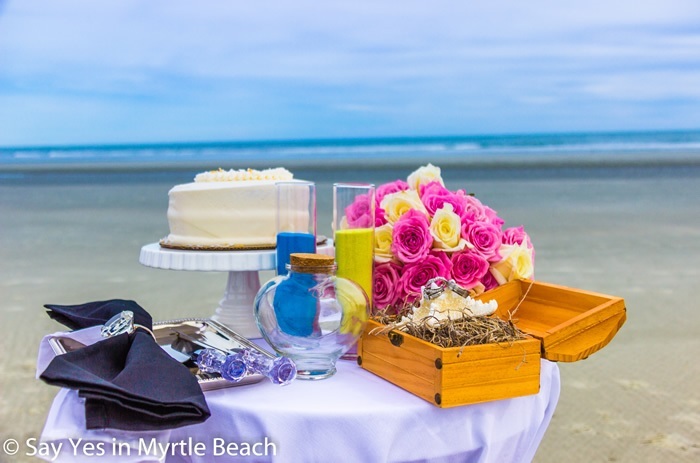 Up to 1 hour of professional photography with edited high-resolution photos on a flash drive. 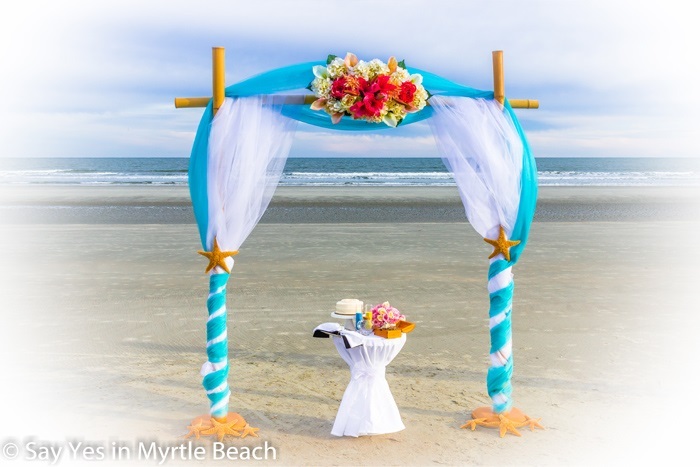 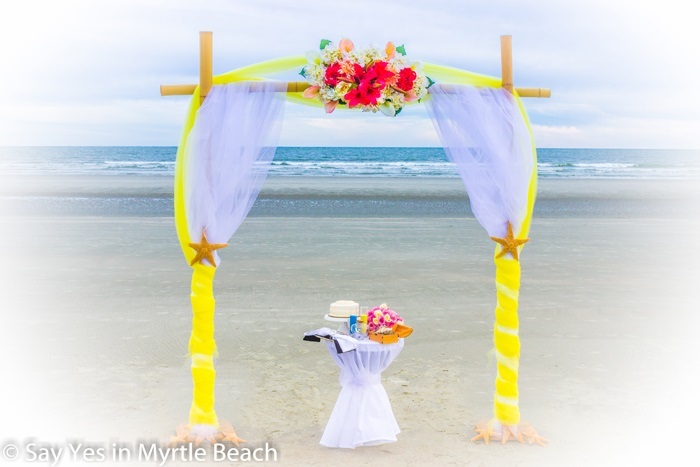 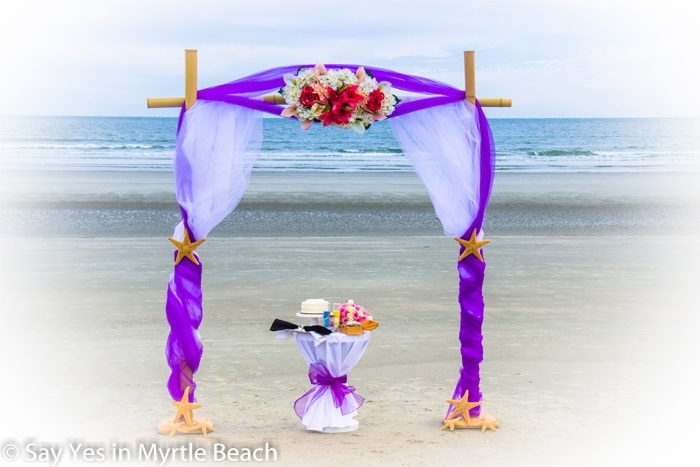 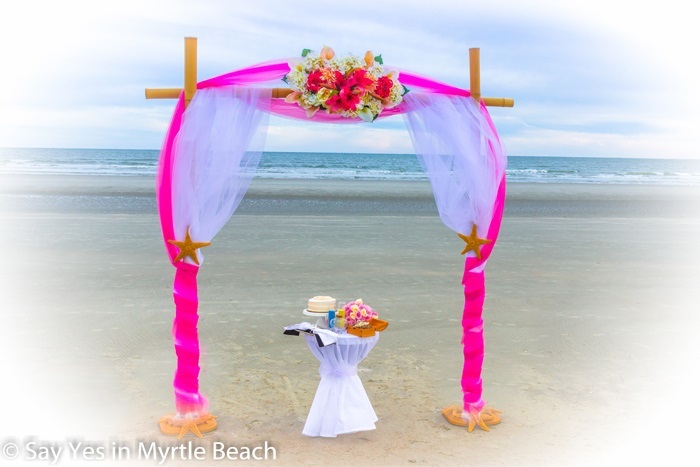 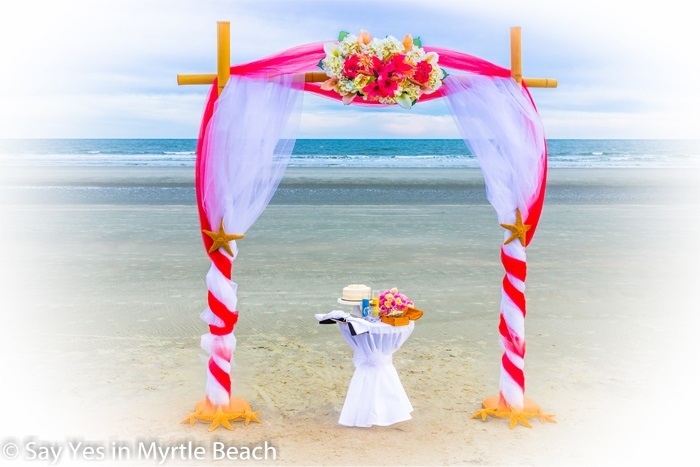 Bamboo arbor decorated with tulle (in your color choice) with starfish decor and silk flowers. 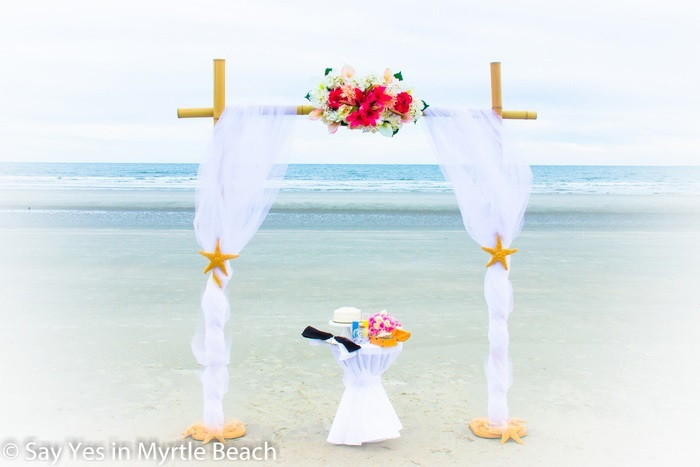 Ring exchange wooden box with starfish.